How many Monitors are enough for a single PC? Well it depends on variety of things. You can connect 2, 3, 4 or even more Monitors or Display Devices to a Single Computer. Why to connect more than one monitors to a single Computer? What’s the Use of it? How much will it cost?. There are many many details involved here and there can be really many uses of connecting dual or multiple monitors to a single computer. Dual Monitor Software can be of use to anyone who has more than one Monitor or Display Device connected to a Single Computer. Image One Monitor as Main Monitor and Another Monitor Displaying the same Output or in a Clone Mode. This configuration can be of use when you wish to share your desktop with audience and have control over what you display on your Computer. 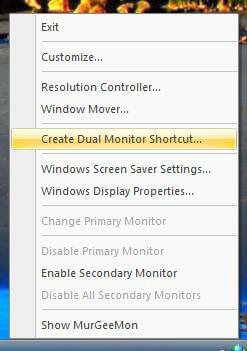 Or Let’s say your Desktop Spanning across Dual Monitors extending your Desktop and providing you more working area. How about watching TV on Second Monitor and working on First Monitor? Yes there is extra cost involved here, but does it sounds it can be useful?